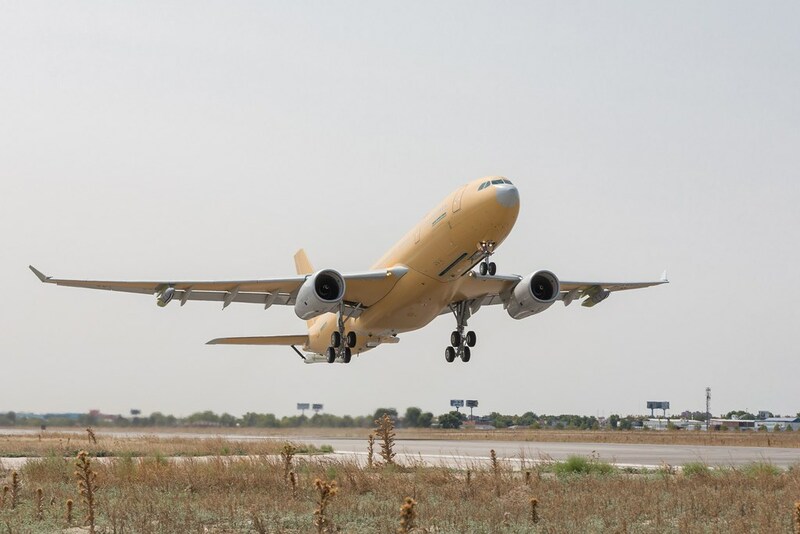 The first flight of the French Air Force new tanker aircraft was successfully completed at the Airbus facility in Spain. The first of nine Airbus A330 MRTT Multi Role Tanker Transport for France has successfully completed the maiden flight on Sept. 7, 2017. The flight lasted 3 hours and 25 minutes confirming the expectations of the crew. The aircraft, called Phénix by the customer, is part of the first batch ordered by the French Defence Procurement Agency DGA, another three are expected to be confirmed for a total of 12 planes. They will replace the current aerial refueling fleet composed by 14 C-135s. 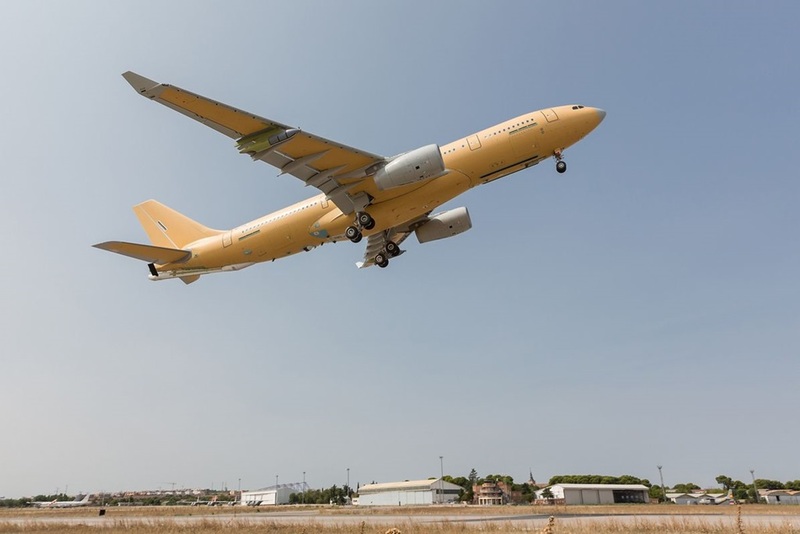 It is the second new standard A330 MRTT to fly, featuring structural modifications, aerodynamic improvements giving a fuel-burn reduction of up to 1%, upgraded avionics computers and enhanced military systems. The aircraft was converted in Getafe from a standard A330 assembled in Toulouse. The Phénix fleet will be equipped with a combination of the Airbus Aerial Refuelling Boom System (ARBS) and underwing hose-and-drogue refuelling pods, and can carry 272 passengers or be configured for medical evacuation. First delivery is due in 2018. Fifty-one A330 MRTTs have been ordered by eight nations of which 28 have been delivered.